With the volume of e-commerce transactions growing at an astounding pace all eyes are under the lens are on the logistics industry and its growth and innovation is being looked upon as a key step for survival. Digitization is a term quite frequented in the present innovation-driven era, as we all know that a maximum number of businesses have been embracing technology in multiple different ways and have been moving the digital way so as to enhance their business efficiency, control costs and generate greater revenues. Buying and selling of goods over the Internet had kick-started a new era about a decade back, and it seems like almost the entire world is fully immersed into it now. The e-commerce market has grown by leaps and bounds, and has spoilt the consumer to the hilt, as they now demand instant goods and services, without much of delay. India’s e-commerce market has reached $33 billion, registering a 19.1% growth in 2016-2017, says the recently-published Indian government’s Economic Survey 2018. However, the consumer probably does not delve deep into what makes this instant delivery possible, how at the click of a button things are made possible for them. Well, it is actually the vast logistics framework that deserves all the due credit, being largely responsible for the success of e-commerce operations worldwide. With the volume of e-commerce transactions growing at an astounding pace, all eyes are under the lens are on the logistics industry and its growth and innovation is being looked upon as a key step for survival. Transformation has been the key need for the industry, where logistics firms are increasingly moving from a traditional set-up to the integration of IT and technology to their operations to reduce the costs incurred, meet the rising service demands and ensure ‘faster and transparent deliveries’. It has been estimated that the Indian logistics industry would continue to show robust growth of 10-15% annually, leading the pace of growth of the economy at large. Few of the leading technologies that are playing a crucial role in digital supply chain management and are expanding the possibilities of digital transformation in the space are robotics, predictive analytics, artificial intelligence, advanced machine learning algorithms, sensors, and augmented reality. Automation has already been well established in many distribution centres and warehouse robotics has been seen as a key trend that has caught up since the last year. Few players in the industry had successfully deployed warehouse robots in 2017, which eliminated most of the operational warehouse inefficiencies. Introduction of autonomous road transportation has also been one of the noteworthy trends that has caught up over the last couple of years, though it is yet to catch up pace. Driverless delivery vehicles are still being tested, until all the legal, safety and social acceptance issues are overcome. Moreover, the demand for advanced real-time visibility solutions offering LIVE, minute-by-minute visibility of in-transit inventory is on a rise. Such specialized solutions, based on leading, new-age technology, help enterprises gain insights into the estimated date and time of delivery of their goods, and logistics firms across the globe have been developing such solutions that give a real-time view into the movement of their goods. This is likely to enhance the overall efficiency of the logistics industry to a great extent and support its growth. The market for supply chain software has risen to $13 billion and is expected to exceed $19 billion by 2021. This is due to an increased demand for agility by the enterprises. 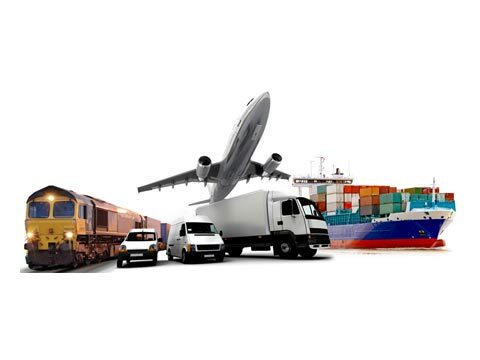 An integration of new software solutions with existing ERP (Enterprise Resource Planning), that offers advanced connectivity, has helped in keeping the logistics sector organized. Such software solutions provide firms with each detail of their shipment, including the location, temperature of the vehicle in which the goods are being shipped, etc. Besides this, a recent technology which has recently come to the fore and has created magical ripples is block chain - which has the extreme potential to eliminate the persisting problems faced by supply chain managers. By reducing the error rate, enhancing supply chain security and doing away with bottlenecks, the technology seems to be a winning tool in the hands of the logistics service providers. To conclude, in the world of e-commerce, logistics is an important element that connects digital transactions and the delivery of the corresponding goods. Competition is intense in the online space, which means that any slag in the supply of goods could move the business away from you, which would instantly go to the competition. This is definitely an undesirable situation for any business. Thus, with the digital tides sweeping the industry swiftly, a robust logistics framework is the true need of the hour. A big thumbs up to technology!